Gaur City Arcade is a two side opened commercial project that is suitable for catering to different commercial needs. This commercial project, spread across 2.37 acres of live and buzzy location is just right for shops like; Boutiques, Medical Stores, Doctor Clinics, Garment Shops, Footwear Outlets and so on. 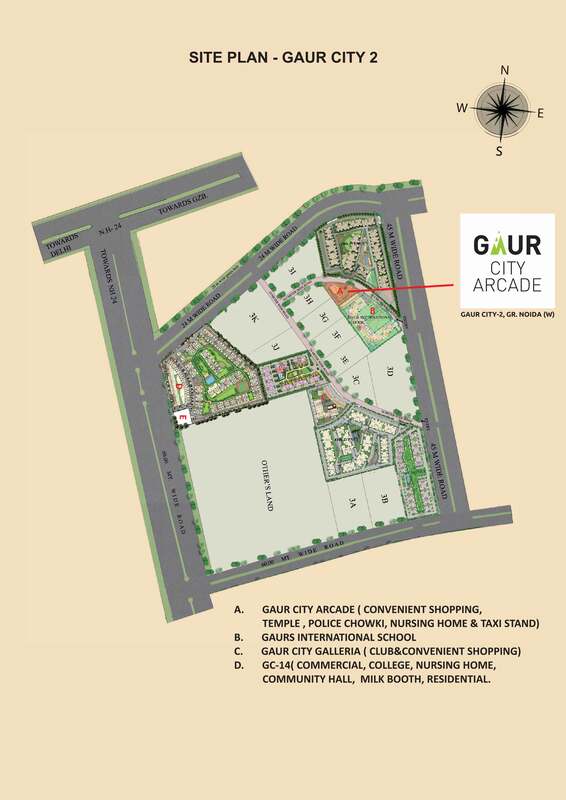 The commercial zone is situated on a 45 meter wide road in the heart of the fully populous Gaur City-2, Greater Noida (West). 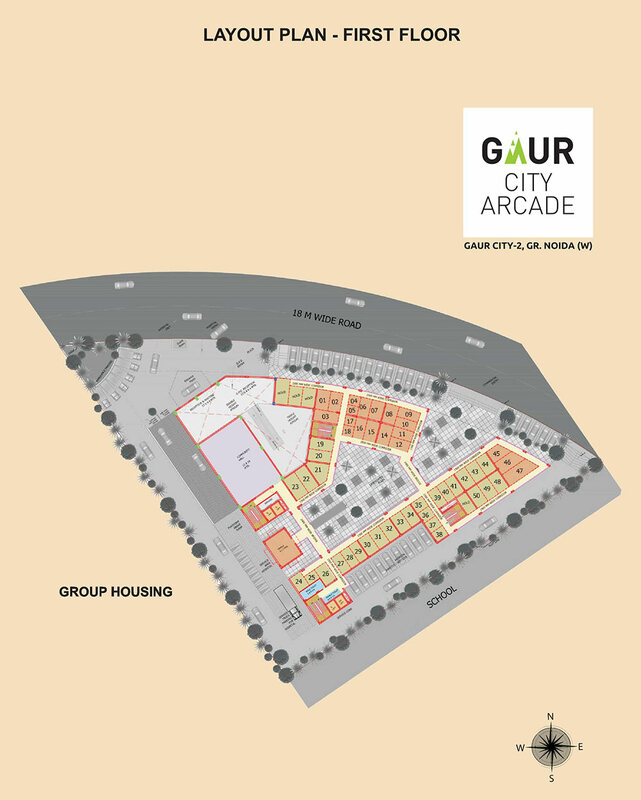 Gaur City Arcade in future will also cater 25 thousand residents of Gaur City and Gaur City-2. 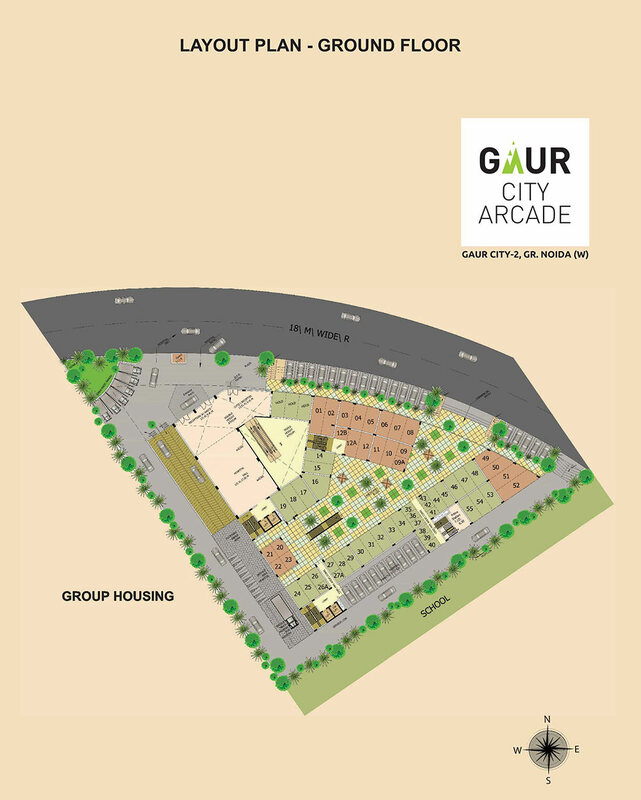 Gaur City Arcade is a convenient shopping center intended to tailor the needs of the catchment area. 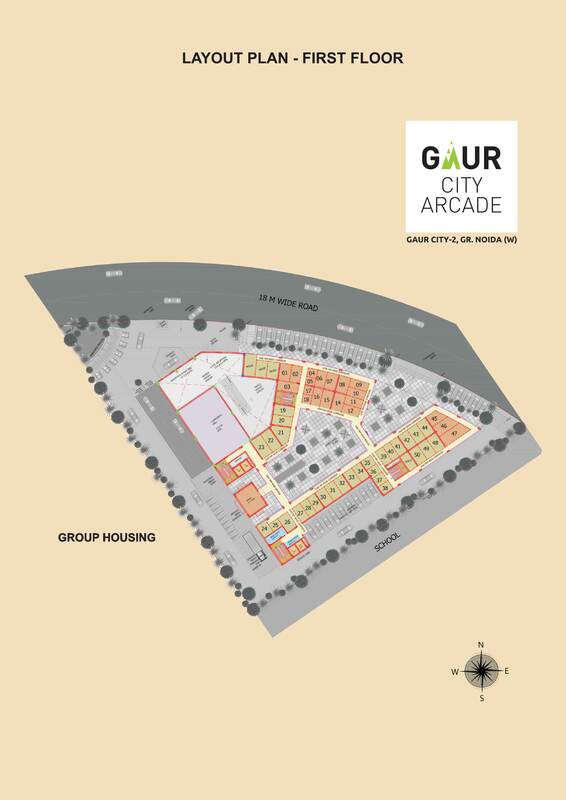 It has a greater location advantage over other shopping zones because of its proximity to Crossing Republic and NH-24, which is barely 3 Km away from the Gaur City Arcade. Connectivity to Greater Noida West is hassle free with well-developed transportation facitily. Plastered Partition Wall With OBD in Pleasing Shades. 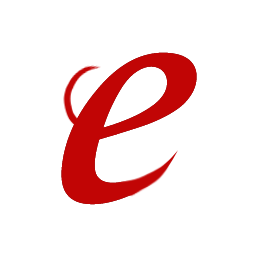 One Electric Single Point Inside The Shop. Ceramic Tiles / Kota Stone In Common Corridor / Common Area.